Scott Pink's Auto Shop was a dream that came to life on January 1, 1999. From the first day the doors opened at our original location on William Flynn Highway, we realized that treating people right was the main idea. Our customers come first. Whether it be as simple as riding a customer home while their car is being repaired or staying late to finish the job and get them back on the road as quickly as possible. We believe that auto repairs should be affordable and never replace a part unless it is honestly needed. The chance to "make a quick buck" is never more important than making sure our customers are satisfied. We want our customers to be happy with their repair experience so that they become a regular that returns to us again and again. In 2004, Scott Pink's Auto Shop became Incorporated and it soon became apparent that more space was needed to accomodate our growing business and Client base. 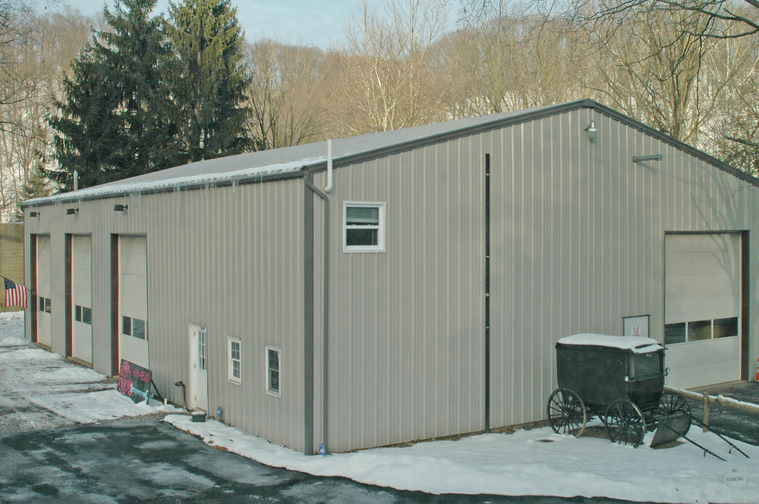 In 2006, plans were put in motion to purchase a piece of land on Butler Plank Road and build a garage to suit our needs. The doors to our new establishment opened in December 2008, where we currently remain today. We hope to keep growing through experience, knowledge and technology. With state of the art equipment and continued training, we will be able to continue to serve the thousands of customers (and friends!) we have made along the journey. 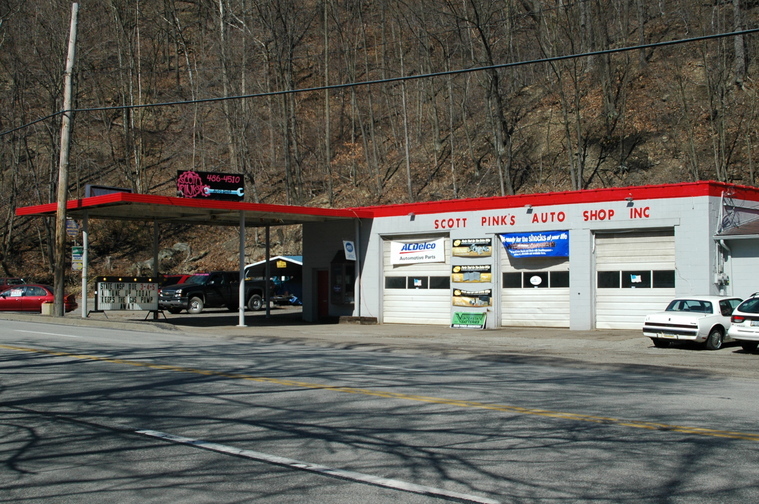 Scott Pink's Auto Shop, Inc.
Our original garage on Wm. Flynn Hwy. Our current garage on Butler Plank Rd.